Expansion plans can often have uncertain outcomes. When clients commit to a growth strategy, we work with them to ensure their commitments to spaces are aligned with the business objectives. Drawing on our expertise and industry knowledge, we recommend a strategy to minimise risk such as negotiating flexible arrangements that can evolve with your business needs. We listen to understand the risks linked to expansion, the timing for growth and the impact of technology and new ways of working on your space requirements. Having regard for the market and your expansion plans, we help you break out requirement into fixed, semi-flexible and flexible components so that we can recommend a suitable strategy and plan for your business. 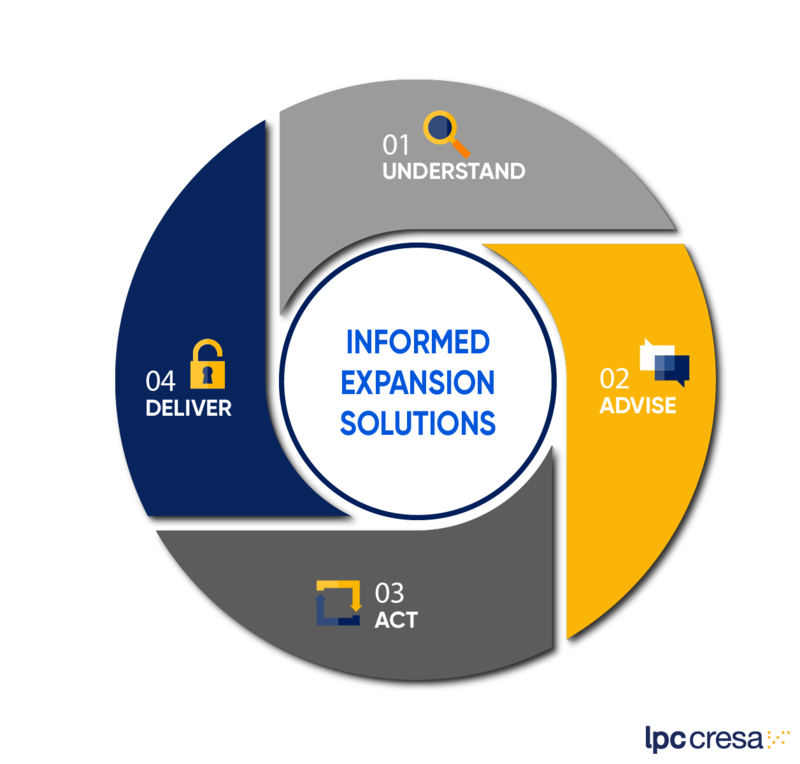 We execute your expansion plan keeping you and all relevant stakeholders in the loop every step of the way through our cloud-based portal. We focus on achieving positive outcomes for you. That means delivering your expansion plans on time, within budget and in a way that minimises any potential risks of the expansion.